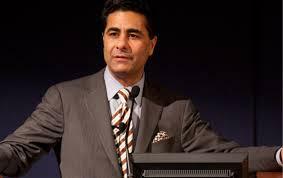 Punit Renjen has been appointed as the new chief executive officer of Deloitte Global (Deloitte Touche Tohmatsu). Renjen was replaced by Barry Salzberg as the global CEO by getting 98% of votes out of the 5400 votes. Renjen completed his schooling from Lawrence School in Himachal Pradesh and worked in Usha International in New Delhi after his graduation. "Thank you for the trust you have placed in me and you have my commitment to serve the global network. I will do my best to serve the global network" Renjen stated in a thanks note.